Safetrading.today is a platform for crypto beginners and professional crypto investors, where you can find the analysis of top crypto trader-consultants. Discover best crypto trading signals for 2019 with us! Check the latest Telegram crypto groups audits to distinguish the accurate crypto signals from the pump and dump. We review crypto signals Telegram channels and show you cryptocurrency signals charts for legit results. Calculation rules. How is the profit/loss calculated in the Safetrading.com reports? What is a Crypto Call on Telegram? What is a Crypto Telegram Group? What are Crypto Pump and Dump Groups? Safetrading.today was created by two beginner traders, Andreas and Sam. The site was launched after a disastrous trading experience following the cryptocurrency signals of Palm Beach and Cryptoland Elite channels. The abundance of unknown, unverified, and questionable crypto consultants motivated Andreas and Sam to launch the Safetrading.today project. This marketplace for traders aims to create a safe environment for crypto traders of all levels. At Safetrading, users can evaluate the real results of traders and check out independent audits from the Safetrading team. Users also can obtain real crypto call stats of the represented consultants over the accounting month. We check and analyze all the cryptocurrency signals of every provider and monitor the results they reached. We renew our statistics every three months. Unlike the most common news media on the Internet like blogs, YouTube vloggers, and paid ads, we do not take any commission from the service providers we review. We don’t write that the channel has the best crypto trading signals unless it truly does. This allows us to always be objective and publish impersonal data about the examined trader consultants. We rank the providers based on a core metric - the result of profit and/or loss. Our platform is for both crypto beginners and professional crypto investors. Get detailed information about crypto trader consultants and detailed stats for all the crypto calls over the financial reference period at Safetrading.today. Safetrading.today team consultants perform their own audit of every crypto trader as well. The Safetrading platform is a quality assurance service in the area of crypto consultants. Each quarter of the year, we check all the cryptocurrency signals of every provider and publish real, uncensored results of our audits on this platform. We find the providers who offer the best crypto trading signals to their users. Here is an example of a Profit/Loss report from the crypto traders. When we perform a channel audit, we get in touch with several random users of the paid chat. We ask for their opinion about the provided services and the crypto signals they get from the channel. Currently, we are the first and the only marketplace that offers these services. Unlike popular blogs that publish only praise about their sponsoring providers for money, we check every crypto call and compare it to the graph of behavior at any given instant. All the information published at safetrading.today is unrestricted and transparent. You are welcome to double-check our calculations at any time. We value our reputation and do our best to push scam Telegram trading groups out of the market. At Safetrading, you get only the best trading signals for cryptocurrency on Telegram. Over quite a short period of time, about three months, we received 48 submission requests from the administrators of different crypto channels. Fifteen of them did not manage to pass the initial inspection and were rejected right away. We suggest that you take a look at a small set of channels that have undergone our independent audit. You can also see scam and leak channels, but this is not a complete list. Information is partially given.You can see this information in the table below. Please pay attention to the leak and scam channels. As the saying goes, forewarned is forearmed, so remember the names to avoid to save your money from fake crypto signals. At Safetrading, we perform comprehensive work for our users by publishing information about traders that have profitable reports (example of a profitable report below). But also about the traders with loss-making reports. This way, we help you figure out which traders offer the best crypto trading signals you can trust and which traders to stay away from. Approved - signal providers with this status have been checked out and recommended by the Safetrading.today team. Declined - signal providers with this status have been checked out and not recommended by the Safetrading.today team based on the data they provided. Not checked - signal providers with this status haven’t provided the required information or the Safetrading.today team has not checked all of the data yet. These channels are not recommended. Scammers - crypto call providers with this status haven’t provided all the required information, or the Safetrading.today team has not checked all of the data yet. The trader’s behavior is suspicious, and they could deceive their clients & traders to make a profit. We do not recommend getting in touch with these channels. Accuracy - profitability of a given trader-consultant over the financial reference period. If the Safetrading.today team does not have complete data regarding the cryptocurrency signals of a given trader-consultant, the rating is shown in stars from one to five (one being the lowest rating and five being the highest). If we have complete data, we show it in the percentage of profit and loss over the financial reference period. Communication - the trader consultant rating of communication from one to five (one being the lowest rating and five being the highest). Rating is based on responsiveness, customer support, the truthfulness of the provided information, and response speed. Price - rating from one to five (one being the lowest rating and five being the highest), based on how the provided services and the cost correlate. Let us explain how we calculate profit and loss in our reports. Let’s take the following report for example. In the report, the last three columns on the right are Profit/Loss, Profit, and Loss. In the first column, you can find the percentage of coin growth compared to the purchase price. 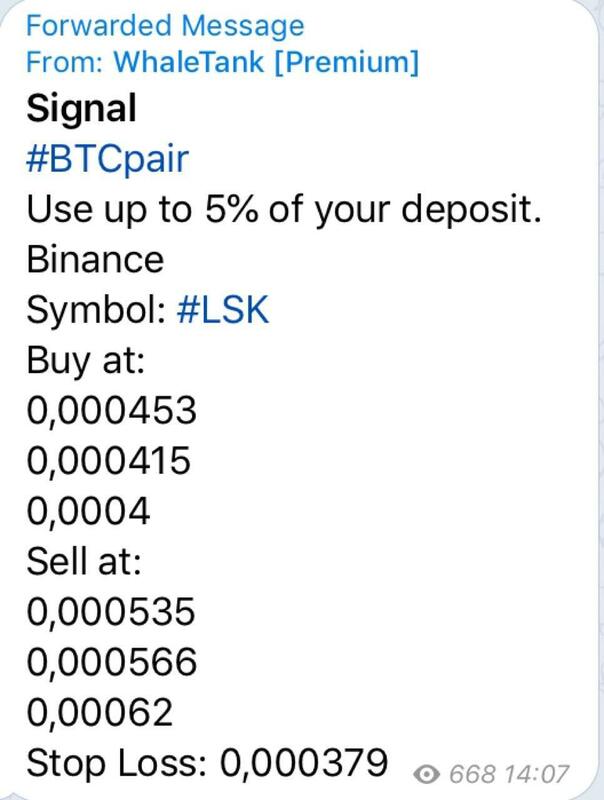 Please note that we state by how many percentage points you would have increased your profit had you invested 10% of your deposit/portfolio into the signal. The next column, profit, indicates the total amount of profit over the reporting period. The last column on the right shows the total sum of loss from all the analyzed crypto calls over the reporting period. The signal was purchased at 2,200 Satoshi. Next, it reached the second target of 3,100 Satoshi on 05.04.2018. It was consequently sold on 17.04.2018. Thus, the overall profit when referring to this coin equals 40.91% in comparison with the purchase price. The profit is 4.09% in relation to the total deposit amount. We calculate profit and loss in cases without a stop loss, assuming that the coin is sold at the moment of its maximum value over the reporting period. Since there is no stop loss in the signal, we assume that the token is kept until the growth starts. In another case, we assume that the token is sold according to the current price on the last day of the reporting period. The choice of an option depends on what comes first. As a rule, we assume that the coin is automatically sold on the last day of the analyzed reporting period. The development of further behavior of the coin is not taken into consideration. In some cases, the providers ask us to review the results of the automatically sold coin, and we do this. As you can see, we use average data to calculate potential profit from every signal, while assuming that one spends 10% of one’s deposit on every crypto call. There are, however, exceptional cases. For instance, the reports for January and February get published in early March. Regardless of your crypto trading experience, you probably heard of signal channels on Telegram. This popular app is used by signal providers to share their predictions about coins with their audience very often. It is a cloud-based, decentralized chat service. Telegram doesn’t have a single data center and encrypts every message securely. To create a Telegram account, you need to have the app installed on a SIM-enabled smartphone (the account is connected to your phone number). The core features of Telegram are one-on-one and group chats and ‘secret chats’ with end-to-end encryption. Any Telegram user can create channels, as well as subscribe to existing ones. Crypto signal providers use the channel feature to build a community and advertise their services. To join a channel, a user needs to have the appropriate link. A channel owner can provide the link once you sign up. A channel owner can also add you directly if your security settings allow this. As for the type of the channel, there are both paid and free ones. You can join free channels directly. You can subscribe to paid channels by paying some fee. Apart from customer support as a benefit, the majority of signal providers have group chats where you can communicate with group members and gather valuable contacts. Telegram crypto groups have a more accurate image in the market compared to Discord and its scammy projects. Currently, the Telegram app is available for iOS, Android, web platform, Windows, and Mac OS. We recommend that you install it to increase your trading outcome with crypto signal channels. 2.2 What is a Crypto Call on Telegram? What is a crypto signal on Telegram? Crypto signals, also known as crypto calls on Telegram, are a trader’s forecast for the growth of coins (crypto assets) at a certain point in time that can bring good profit. Paid crypto signals are usually based on a detailed, thorough analysis of the market situation. They are also based on technical analysis, the latest market developments, trading volume, and other factors. Crypto calls cannot guarantee a 100% profit. The cryptocurrency market is highly volatile and is never stable. For this reason, the profit and loss depend mainly on the behavior of Bitcoin. It is extremely hard to predict how Bitcoin will behave in the nearest and the long-term perspective. For all of the above-described reasons, every crypto signal is merely a subjective impulse from a given crypto trader. However, the best crypto trading signals can still be very profitable. How to get crypto trading signals on Telegram? Once you subscribe to a crypto signal provider on Telegram, you will start receiving signals from them. 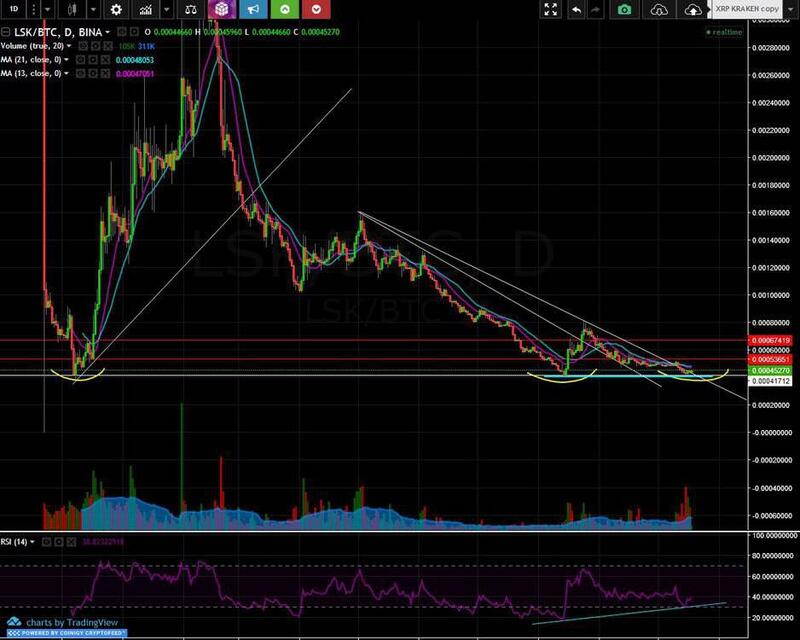 If the channel is legit, their signals will be based on a thorough technical analysis and the current tendencies of the cryptocurrency market. The format of signals may vary from one provider to another. Usually, a crypto call includes a small trade explanation and reasons for the choice. As a rule, most of the trades run against BTC. In the buy area, you will see the recommended price for placing the order. How to use crypto signals well? One of the most frequent mistakes beginner traders make is rushing to spend their portfolios quickly while hoping to double them overnight. We recommend that you keep your trading slow and steady at all times. Keeping your investments under 5% of your portfolio volume will save you from possible losses. Of course, sometimes you might be annoyed that you invested less in a signal that turned out to be very profitable. However, keeping your portfolio safe is always worthwhile. At Safetrading, you can find reliable channels that provide trustworthy trading crypto calls on Telegram. All of these providers have good customer support that can help you develop your trading strategy. How do crypto signals work? There are targets in the signals, and you need to decide whether you want to get a faster profit or lock in your capital for longer. Target levels are labeled as T1, T2, and T3 in the signals. Higher targets require more time to be reached. For a risk-free trade, aim for the breakeven zone; this will allow you to adjust the percentage values to reach your initial purchasing price, and get into a trade, free of risks. There are short-term, mid-term, and long-term signals. Short-term signals are expected to reach their targets within several hours. Mid-term signals are expected to reach their targets at any time within several days. Long-term crypto calls are expected to reach their targets within several weeks. You can use different sources of signals for your trading strategy. For example, you can check Tradingview on a regular basis, subscribe to several crypto signal Telegram groups, and study the market on your own to make your predictions about the coins.No matter what strategy you choose, you will only be able to tell the best signals in retrospect due to the high volatility of the market. The cryptocurrency industry is unstable and rapidly changing, which is why signals may be good predictions, but never precise guarantees. Telegram signal channels are only the tool you can use to leverage your trading experience. If you are considering purchasing crypto coins as long-term investments, you may not get tips and tricks to grow your funds here. This resource is more about day cryptocurrency trading for people who buy undervalued coins to sell them when their projected price point has been hit. We will talk about exchanges like Binance, Kucoin, and Bittrex that investigate the Bitcoin and Altcoin markets and make suggestions as to what assets to buy at what price, and when it is the right time to sell them again. With the help of channels' suggestions and exchanges, you will be able to make profits on the increased price of the purchased asset. As usual, trading crypto calls are based on technical analysis of tokens/coins and upcoming news or special information that impact currency positions in the market. While they contain the correct suggestions of prices to buy and sell coins and stop-loss notes, traders need to analyze the given information correctly and rely only on their own decisions. Unfortunately, the crypto market is not a place where traders can make one successful decision and double funds overnight. Newbies may bet all their money on one race, but this mistake will likely cause great losses. In this game, winners are those traders who utilize strategic thinking and invest smartly. The channels mentioned above have reliable customer support that should help you build your action plan. Apart from a trading strategy, the targets you set are decisive factors for your future actions. You should decide what is more critical for you - to make faster profits, or get higher rewards by investing for longer terms. The target sell levels are usually set as T1, T2, and T3. The higher the target is, the more time needed to reach it. A good practice is to split the portfolio by 50%/30%/20% in accordance with the targets, but the percentage may depend on how high the targets are. You can also define the % to sell for short-term signals by calculating the breakeven zone. In this case, you still have something leftover from the purchased coin so that you are in a risk-free area. Latest crypto news and data analysis. The world of crypto is overloaded with information, so much so that it’s extremely hard to find the grain of truth in the pile of fake news. Good market makers help you to get only the most important news that should not be missed right in their cryptocurrency groups. Portfolio analysis and advice. Crypto traders help you to analyze your current portfolio and revise the percentage ratio of your capital based on your trading strategy. They will also give you advice on what coins to choose to grow your portfolio. Ongoing Bitcoin analysis. Bitcoin is the major criterion in the crypto world; it is the gauge for the whole industry. For this reason, it is vitally important for every provider to keep an eye on the market forecasts and understand them well. Experienced providers know all the ins and outs of crypto trading, they will give only the most precise predictions. Educational webinars and trading courses. You can rely on someone else’s experience and advice, or you can invest in your education and rely on your knowledge and experience in the long run. We believe that one can be sure in their market strategy only when they are well aware of all the processes taking place in the market and the effects of these processes on their business. To avoid any extra worries regarding your capital, you need to have a lot of theoretical and practical knowledge. Knowledge is power, so you should continuously hone your skills and develop along with the industry. Crypto traders will help you to facilitate your expertise and become a strong, powerful, and independent crypto trader. With their help, you will learn how to read crypto signals, what crypto signals to look at, and how to find Telegram crypto groups that are the best. Access to trading bots. Crypto trading bots are developing rapidly. With the help of these bots, one can optimize their trading process and save time spent on routine actions. Nearly all top crypto traders work on developing and improving their bots, which correspond to the business model and the strategy of each crypto consultant. You will get an opportunity to use the benefits the bots offer without any risks that accompany doubtful, unauthorized bots. Active chat rooms for members. Here you will be able to communicate with other investors and premium subscribers. You will get fresh news and objective feedback on the services of the given crypto consultant. Chat rooms offer a great chance to communicate, share, and develop together with like-minded people. Telegram crypto chats can give you more valuable information and insights than hours of browsing typically would. An informative magazine with long-term opportunities. This is a great tip for those investors who want to plan their future activities in advance. You can see the predictions for the coins and the whole industry here after you become a paid subscriber to the services of a chosen crypto consultant. ICO Reviews and private sale opportunities. If you are interested in investing in ICO projects at an early stage and wonder how to choose the best projects, this is the service you need. It will help you filter the unworthy ICO projects and concentrate only on the most promising coins. You can also get access to the private sale and enter the project before everyone else does. 2.6 What is a Crypto Telegram Group? Crypto trading signals can be found on Telegram in crypto groups. What is a crypto Telegram group anyway? Let us explain it to you briefly. A crypto group on Telegram is a gathering of top crypto traders who share their experience and help other traders for a commission. As a rule, these crypto traders have good experience in stock exchange or Forex trading. Quite often, several traders unite to found a Telegram signal channel and provide a better service to their subscribers. However, there are scam crypto Telegram groups, the founders of which pretend to be professional experts. For this reason, we recommend that you use the Safetrading platform. With us, you will be able to stay away from the scams and grow your portfolio with verified crypto signal providers. In the future, we plan to hold interviews with the founders of Telegram crypto channels. This will allow us to evaluate the level of experience and skills of the channel founders. We plan to share real data about the crypto trading groups channels founders as well. How does one join crypto groups on Telegram? Telegram is a mobile messenger, so you need to install the app on your mobile device. Next, you need to find the group you are interested in by typing its name in the search field. Finally, you need to pay the subscription fee (if any) to join the channel. As a rule, all of the needed instructions should be in a pinned post in a group. Analysis of the statistics of the provider’s cryptocurrency signals. Research all the signals you can find from a given provider. Review the full statistics of the given Telegram channel. If a channel gives very little information, stay away from it. Pricing of the channel. Overpriced and underpriced crypto Telegram groups should sound an alarm. Channels that offer only lifetime subscription should give rise to doubt as well. While an experienced and skilled provider isn’t likely to offer their services at a bargain price, they also aren’t likely to be afraid to offer their new clients a trial period. Level of the provider’s communication. Make sure it is easy to contact the provider, the group administration, and the rest of the people who have joined the group. If a provider is hard to reach, unfriendly, unclear, or has poor English, you are better off looking for a better one. Availability of an open chat or a website. Look for more contact points than a Telegram group. If a provider has a website, a Facebook page, or any other contact point outside of Telegram, it means that they are most likely not afraid of what their subscribers have to say. Signals and predictions from times of major market fluctuation. One of the easiest ways to expose the fraud is to analyze their signals and predictions given in the periods of market uncertainty. Most of the experienced, reliable traders refrain from giving any crypto calls and advice when the market is uncertain. Actual results of the channel, confirmed by real traders. One of the best ways to analyze the provider’s services is to ask other traders what results they got from this provider. Visiting top relevant crypto events and networking will help you cope with this task easily. Trading is not an easy science and may take much time and effort for a newbie to reach a desirable growth of assets. This is a financial market where knowledge comes along with experience. Learning all the terms from Exponential Moving Average (EMA) or Moving Average to Relative Strength Index (RSI), up to trading based on a neural network on your own can cause a newbie to become lost in tons of details. Lots of online resources provide information about crypto trading and there is a chance that it could be incorrect or misleading. Therefore, subscribing to one of the signal providers on Telegram is a good option to gain knowledge in this area and learn from their education pack. Always diversify your investments. The mentioned Telegram crypto groups share plenty of signals that are worth your attention, so you should limit your spending to 1/10 of your available funds for each trade. Invest your BTC in the right way by splitting the balance between several coins. Do not forget to set stop-loss 5% below your entry point when the market is unstable and after the price increase. When you reach your first target, sell between 30% and 50% of your assets and set stop-loss up to 10% below the entry point. Be conservative when setting sell targets. The majority of traders follow the rule 50%/30%/20% when dividing a balance between the targets. This technique helps traders to stay safe and not end up back at the bottom of the ladder. However, this is a conservative way to trade. From time to time, some of the channels may provide signals based on special information, so it is suggested that you not be too conservative, as these signals may generate significant profits in the future. Be ready for dumps. They are not regular, but they sometimes happen. Since you invest in altcoins against BTC, the winning situation is when BTC moves sideways. Bitcoin drops, and altcoins drop as well. Be ready for these instances in the future and keep at least 30% of your total funds in BTC. This will help you to hedge out and keep your head above water. It is quite difficult to predict the behavior of Bitcoin in the market, so signal channels may not foresee the next drop. When it happens, be sure that the mentioned Telegram crypto groups give you good advice on what coins to invest in during that particular situation. Use a stop-loss intelligently. Stop-loss is a point of hot debate among traders, and, unfortunately, there is no right answer as to whether you should use it or not. Traders can make big money trading crypto without using any margin or leverage considering the volatile nature of crypto. In the worst case scenario, all your orders hit stop-loss, which decreases your equity in each subsequent trade and removes the possibility to recover in the end. Of course, stop-loss burns crypto assets, and at the same time, locks your capital. By taking some stop-losses, you will be able to recover with other trade signals. However, this is not a magic pill, so the best solution is to analyze the environment and adjust accordingly. Be ready to adapt your trading strategy according to the current market situation. If you limit your equity per trade to a maximum of 5%, it will help you save your funds when the price drops. In a bear market, it is better to spend assets on crypto coins that have strong positions. You can learn about this not only from Telegram signal groups, but also from social media and trusted ratings. If you see that things are likely getting better due to the news, you have a chance to recover your assets and may trade without stop-loss. When you have some weak coins among your assets during a bull market, stop-loss can be used to unlock the capital and invest it in more profitable coins. In this case, you should use the given chance to grow your funds. Think twice about where to use automated trading solutions. Everyone wants to earn money easily. Impressive innovations in machine learning provide an opportunity to automate crypto trading with the help of bots. It doesn’t matter how far technology develops - it is quite risky to allow bots to be in charge of your funds. Using an automated bot is a good solution when it is accompanied by the human mind to analyze and confirm the validity of each signal. Bots can’t analyze signals correctly and think ahead of the situation, so you could experience nonrecoverable losses if you enable bots buying and selling crypto coins on their own. Currently, a chatbot may be a good cryptocurrency signal finder, but not a good decision-maker. Always look around you. Don’t follow one signal provider blindly without paying any attention to the market. It’s way safer to keep an eye on several signal providers and analyze their signals before investing. Don’t use over 10% of your portfolio for trading according to the signals of one provider. Avoid investing all your BTC in only one or two coins. Don’t forget to set a stop-loss 5% below your entry point when the market is unstable. Don’t forget to set a stop-loss at entry point after the price increased. We recommend that you sell 30-50% of your investment at all times, as well as set a stop-loss at 5-10% below after reaching the first target. The higher the target is, the fewer chances it has to be reached. For this reason, it is always safer to use the first sell target to sell. Keep 30% of your portfolio in Bitcoin to be ready for any period of dumps. This way, you will be able to buy the dip. Always remember that there are no guarantees in crypto trading. The volatility of the market can make any predictions questionable within hours. Decide whether to set stop-loss. Setting a stop-loss order will help you avoid burning your crypto portfolio. However, this can prevent you from reaching a significant profit in some cases. For this reason, we recommend that you be aware of the trading situation at all times and act accordingly. Find a mentor and learn the basics of trading. You can google a lot about crypto trading for free. However, there is so a lot of misleading, or just plain useless, information out there that can cost you a lot of time. We recommend that you subscribe to a trustworthy channel that provides educational services and mentoring. This way is currently the best shortcut to crypto trading knowledge. Good customer support of a reliable crypto channel will also help you figure out how to read their crypto trading signals as well. Don’t rely on machines blindly. Machine learning gives traders many opportunities for automated trading. However, automated trading solutions should be closely monitored by a human brain as of now. Allowing a bot to buy and sell without your confirmation can lead to great portfolio losses. In most cases, Telegram crypto signal providers publish signals based on the research and experience of the group founders. However, there are also channels that steal information from other Telegram crypto groups. They copy signals from other channels and offer access to it at a lower price. Sometimes they even sell these stolen signals pretending they are the results of their work. You should stay away even from the best crypto signal leakage groups for several reasons. First of all, they are stealing and selling someone else's work, which is immoral. By subscribing to these channels, you support and promote theft. It takes time to steal and repost. For this reason, signals arrive with a delay in these channels. The market situation changes rapidly, and several hours can make or break the trade. What’s more, you shouldn’t expect any good customer support from these groups. They will not be able to assist you and give advice on their signals (as they are simply not their own and they have no idea about the analysis that these signals are based on). Crypto scammers profit greatly due to the fact that crypto transactions are not reversible. All they have to do is convince the potential user to pay for the subscription, and then they can go away, taking your money with them. You can easily find a lot of information on the Internet about the benefits that leak groups can give you. There are many sponsored articles claiming that leak signal groups are way better and more cost-effective than original premium channels, as they give you more information at a lower cost. The choice is yours to make. However, remember at all times that leaked information and stolen incoming pumps from various pump and dump channels is never first-hand information. It is up to you whether you want to risk losing your crypto coins by subscribing for cheap offers from leaker channels. Leaker channels usually have anonymous owners, so they can take all the money from subscribers and just exit their group. Nothing stops them from starting a new channel with the same scamming scheme to make money off of new people. 5. What are Crypto Pump and Dump Groups? The crypto market attracts all kinds of scammers that feed on someone else’s losses. There are fraudsters that push random crypto signals on Telegram regardless of their performance. They imitate high-performance activity to get more subscribers and feed on the subscription fees. It may be very hard to understand whether a channel is worth subscribing to for a beginner trader. For this reason, we advise that you check the channel’s signal analysis on the Safetrading platform before subscribing to them. One more form of crypto scam is called a pump and dump group. Crypto pump and dump Telegram groups are channels that are pumping dying coins for the sake of their own profit. To not become a victim of their schemes, you should always check the trades a channel suggests. If a signal suggests trading to a suspicious coin, always check it on Bittrex. Coins marked with large green candles are usually already pumped, and they are probably going to die right after you invest in them. Pump and dump groups manipulate on low volume coins, by trying to exploit the shady opportunities of the crypto market. These channels usually pump a dead shitcoin by publishing fake news about its high chances of going up. The real pump starts the following way: the issuers of the pump and dump set up their positions early in the trade. Next, the users of the free crypto pump and dump groups receive crypto calls and start to jump in and invest in the pre-pumped coin. Then, the people behind this scheme pull out and vanish into thin air with the money they got out of the scheme. This is the end, where most of the traders are left with a portfolio of worthless shitcoins, and the fraudsters profit and plan another scheme. New pump and dump crypto groups emerge all the time, and we can only wonder how the same fraudsters trick more and more people, over and over again.